SVE ASSOCIATES provides a full range of structural engineering services to architects, building owners, institutional, industrial and municipal clients. 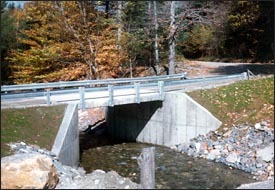 Our structural engineers are licensed in Massachusetts, Vermont and New Hampshire. Please contact us to discuss how we can assist you with structural engineering design services. Areas of our structural expertise are listed below. Structural Assessment of Existing Structures for Renovations, Change of Use, etc.